Tikkaway has opened a second location at 2 Howe Street in New Haven, in addition to their original location at 135 Orange Street, serving the same fast casual and healthy Indian menu. This article was originally posted on September 1, 2013. Enjoy! There is a movement underway in New Haven that may change the way Americans view Indian food. Often the domain of full-service restaurants, Indian cuisine has yet to enter the category of ‘fast casual.’ This scarcity is what some would call an opportunity. Tikkaway Grill is the brainchild of businessman Gopinath (Gopi) Nair, a chef with the rare combination of a culinary degree and an MBA. Gopi may be a familiar face to Indian food lovers in Fairfield County as a former managing partner of Coromandel, spending much of his time in its South Norwalk location. 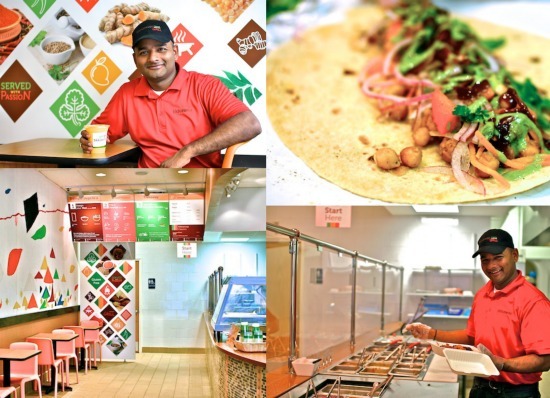 His passion for Indian cuisine, combined with an unfailing dedication to customer service, has inspired Tikkaway’s central tenants--a fresh, healthy, and informal take on Indian food. A pared down menu, casual setting and approachable price point, seeks to demystify while at the same time celebrating, the south asian spice-loving cuisine for the masses. "I have been thinking that to me the world has two sets of people," said Nair. "Those who love Indian food but can't get enough and more frequently, and those who don't know Indian cuisine and have stayed away from it till now! Tikkaway grill is for both of them." Tikkaway’s menu, and its ordering, is structured around three simple three steps. First, you select a roti roll, a rice bowl or a salad as the foundation. Second, you choose your main ingredient, ranging from proteins such as chicken tikka or lamb, to vegetables including chana (chickpeas) or aloo (potatoes). The third is where you can get a bit creative and add layers of vegetables, sauces or chutneys.  This is also where you can begin to see how limitless (read: dangerous), this can actually become. The genius in this menu is in its potential to intrigue both Indian food lovers as well as south asian culinary neophytes alike. Those of us who know a bit about the cuisine can experiment and layer flavors and textures in a bowl or roti. For example, I really enjoyed the combination of chana and vegetables in a roti wrap with raw vegetables, vindaloo sauce and a drizzle of mint chutney. Newcomers can wade in slowly, focusing on a few items and a single sauce, at a time. Prices are set based on your selection of protein and vegetable and range from $5.95 to $6.75, and do not vary based on the number of additional ingredients, sauces or chutneys added. Additional sides are available such as samosas and triangle-shaped poppadoms called papads. Mango Lassi’s and iced chais are also available in the Tikkaway small takeaway refrigerator. Get excited New Haven, your lunch options just got a bit more interesting. Tikkaway Grill is located at 135 Orange Street and 2 Howe Street in New Haven, CT and is open 7 days a week for lunch and dinner. Hours and information: www.tikkawaygrill.com.